This morning, Google announced that the Google Play Music family plan will be available in the “coming days!” After initially announcing a family plan back at the end of September during the company’s Marshmallow and Nexus event, we were starting to wonder if it would actually ever arrive. As was stated a couple of months back, the Google Play Music family plan costs $14.99 per month and allows up to six family members to connect and stream music. When subscribed, all members of the plan get access to Google’s 35 million+ song collection, ad-free streaming of radio, and simultaneous playback from multiple users (Finally!). As an added bonus, the family plan also includes access to YouTube Red, which is Google’s ad-free YouTube experience. 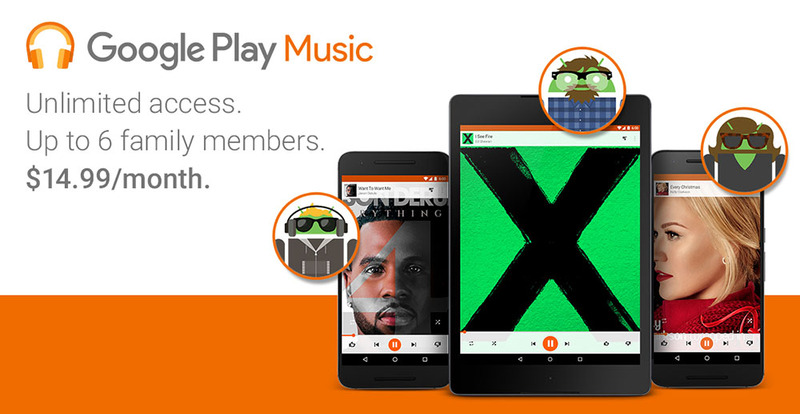 So you get access to Google Play Music and YouTube Red for $14.99 per month as a family of up to six. That’s a heck of a deal. Again, the service should arrive on Android in the US, Canada, UK, Australia, France, and Germany shortly. UPDATE: We figured out how to sign-up today!